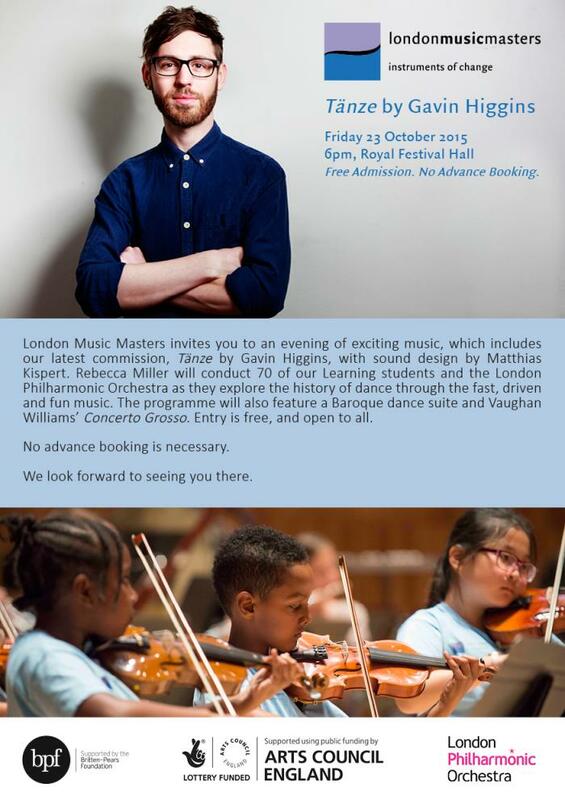 London Music Masters (LMM) is a charity which advocates new music for young professionals and children. LMM Learning is an educational initiative which identifies and nurtures young children who might not otherwise have the opportunity to engage in classical music. On 23 October a group of LMM Learning students will be joining with members of the London Philharmonic Orchestra to perform a new LMM commission, Tanze by Gavin Higgins, plus the RVW Concerto Grosso and a baroque dance suite. The concert takes place at 6pm and is free. It is followed at 7.30pm by a concert from Thierry Fischer and the London Philharmonic Orchestra in which LMM Ambassador, Benjamin Grosvenor will be playing the Ravel Piano Concerto in G Major. Further information from the LMM website.